Gaming (and gamers, for that matter) seem to be obsessed with reliving the past. The nostalgia bubble is strong right now, but when it bursts, it might harm the industry as a whole. Unless you’ve been living primarily for the indie releases, you might have noticed gaming has a bit of a throwback problem. Indeed, if the gaming industry hearkens to its past more often, it risks turning into a time machine. Will gaming still be able to release the artistic touchstones so many of us will love and remember if it’s currently preoccupied with reviving the ones we already love and remember? The poster child for this collective obsession with the earliest generations of gaming is undoubtedly Nintendo. In fact, I’m willing to bet that a good percentage of the people reading this thought of Nintendo before getting beyond the first paragraph. 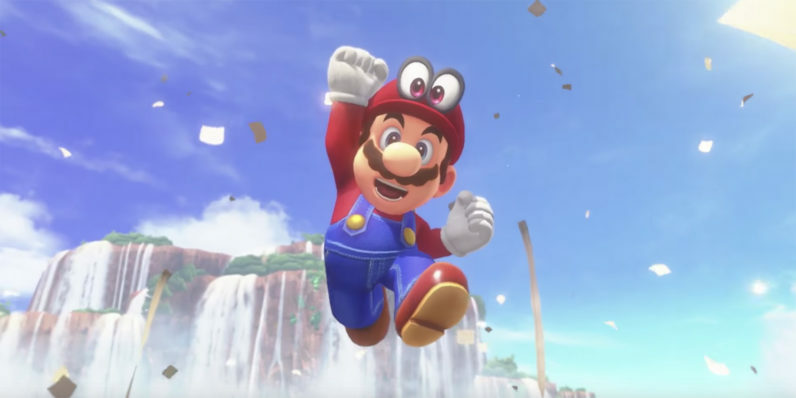 It’s the natural connection to make: nostalgia isn’t just Nintendo’s business model, it’s practically the company’s entire raison d’etre. Whenever the company wants to experiment with new hardware — motion controls or 3D screens, for example — it brings out mainstays in its mascot library as a way of giving the untested tech a familiar anchor. Nintendo has at least proven there’s profit in using familiar names and franchises as a way of selling hardware. And it’s taken a niche approach to nostalgia with its release of throwback consoles like the SNES classic. But beyond that, what is this going to mean for Nintendo in the long run if they don’t allow or encourage more original content? I’d wager the Smash Bros roster will suffer, at the very least. Same, but better; or better, but same? Let’s examine one of gaming’s biggest events of the year: the Electronic Entertainment Expo. What were the big announcements at this year’s event? Just off the top of my head, I recall announcements for a new God of War, a new Metroid, a new Assassin’s Creed, a new Far Cry, a new Beyond Good and Evil, and a new Wolfenstein. That’s not even covering the re-releases and remasters, such as those for Age of Empires, Skyrim (again), Shadow of the Colossus and Rocket League. The number of familiar names far outweighed the unfamiliar ones. Outside of that show, some of the most ballyhooed games I’ve seen previewed are Final Fantasy VII Remastered, and Sonic Mania, which was literally made by and for nostalgic fans. Note that I’m not commenting on the actual quality of the games in question — I loved the new Doom game, and could probably sing its praises throughout this article. I’m not a Crash Bandicoot fan, but if Activision ever releases a Spyro remaster, I’ll be on that like a cat on a mouse. And some of the resurrected franchises — System Shock 3, for example — look more like love letters to a piece of art than an attempt to cash in on a familiar name. That doesn’t hold true for all of them, however, and I suspect the industry’s retro-infused calendar has more to do with milking a nostalgic audience for cash rather than consistent demand from the players. So what would the gaming industry looked like if the audience as a whole lost interest in remasters, re-releases, and sequels? Imagine a scenario with me: when a new console generation is released, it’s actually not allowed (or not accepted) for the developers to frontload it with older franchises. Imagine a world where doing so was seen as bad form — as opposed to the world we live in, where it’s the accepted norm. So, to compensate in this hypothetical alternate world, both first- and third-party developers would have to create games that rely on great gameplay, beautiful art, or intriguing stories to sell themselves, rather than familiar names and characters. They could be similar to previous games, or take inspiration from them, but would build on them to create something new. Imagine a world where franchise sequels — or at least a majority percentage of them — were made either as afterthoughts, niche market products, or were generally not considered at all. This world would have its own problems — not the least of which would be that most games would be considered monetary risks by the consumer, rather than investments based on previous goodwill. But at the very least, it would force the industry as a whole to look forward, not back. I’m not doomsaying by any means — gaming does get its fair share of fresh blood. My fear is that a preoccupation with the hits of yesteryear will leave future gamers with nothing to call their own. If I had a ten-year-old child right at this moment, what kind of games would they be playing that they’ll still be nostalgic for twenty years from now? I can tell from experience that it’s hard to summon that kind of devotion for franchises you enter in the middle. As for us adult gamers — how long until we realize that reliving the past gives us limited returns?